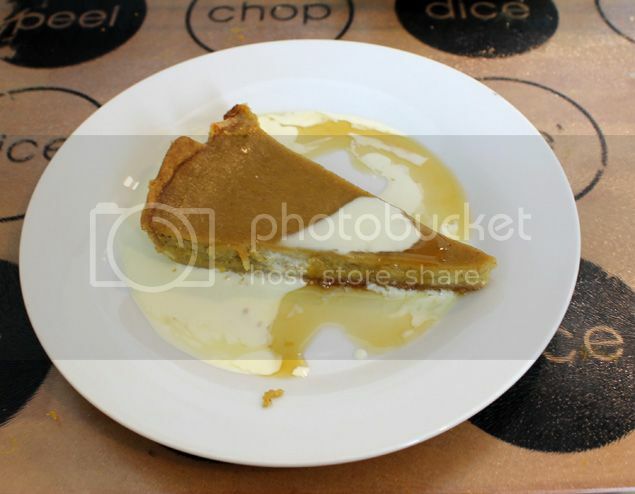 Pumpkin Pie is a classic recipe I make every year without fail. It’s a great way to use up the innards from your Halloween pumpkin and it is damn delicious. For those of you who’ve never tried it or think it sounds unappealing to have a dessert with vegetables, it works in a similar way to carrot cake or putting beetroot in brownies. I used to think it was a bit strange until a few years ago but believe me it is ah-mazing!. 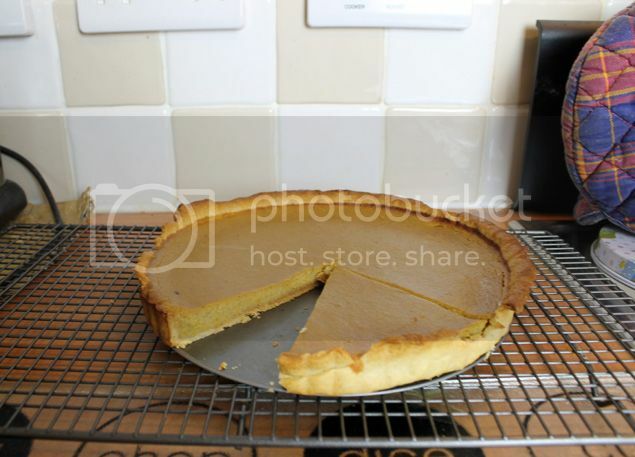 Think custard tart with lots of delicious spices. Anyway it’s come around to that time of year again so this year I thought I’d share my recipe with you. I don’t tend to make my own pastry as it’s quite time consuming and I find the Asda Extra Special cases are just as good! 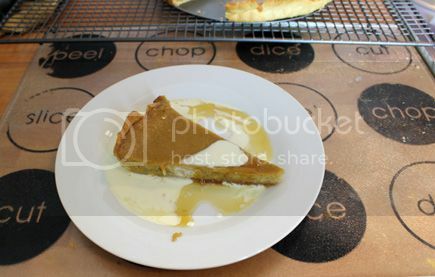 However on this occasion I did have some ready rolled shortcrust pastry in the fridge which needed using. The most time consuming part of this is preparing the pumpkin (if you don’t have pumpkin puree already) and preparing the pastry case. After that it’s a doddle, mix it up, pour in the case and done! easy! You can steam, or roast in the oven with a little oil for about 40 minutes on Gas Mark 6/ 200C. Make sure to check periodically and give it a shake to make sure it cooks evenly. 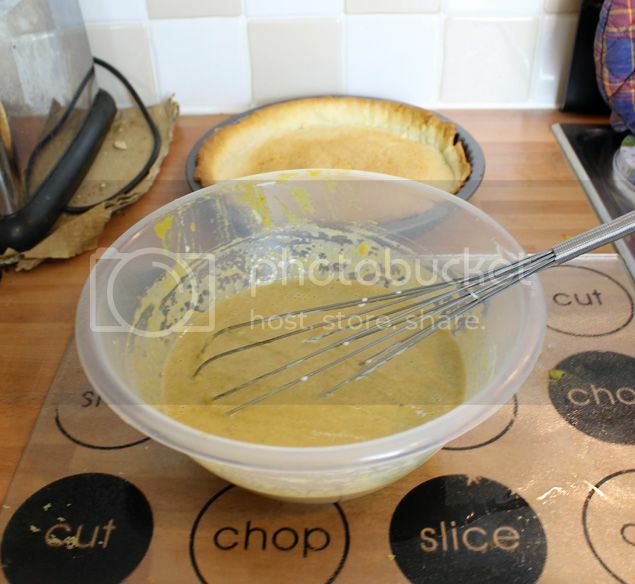 Meanwhile roll out your pastry, line a 23cm tart case and prick the base with a fork then chill in the fridge for 20 minutes. Cover with baking parchment and some baking beans or rice and bake in the oven for 15 minutes, before removing the parchment and cooking for another 5 minutes. 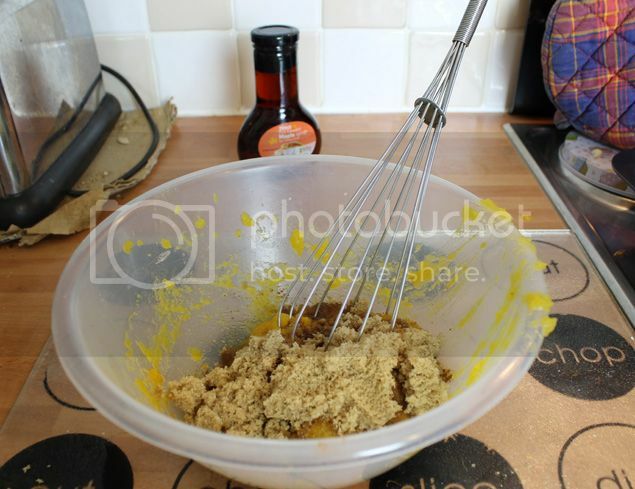 Whisk eggs and cream together in bowl until evenly mixed. 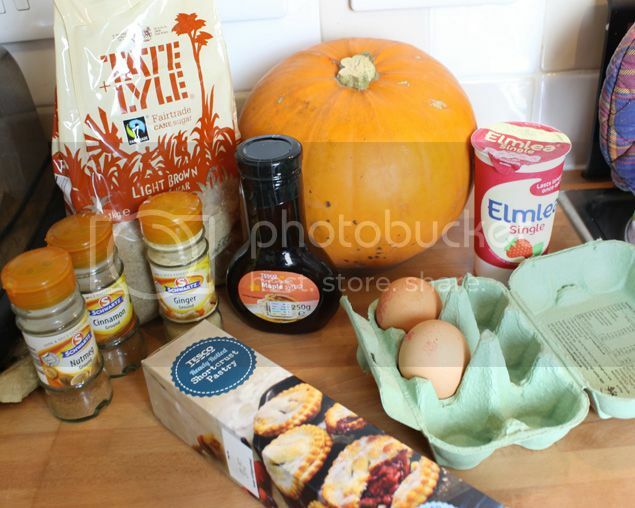 Whisk in the pumpkin puree mixture and pour into your pastry case. Bake for 30 mins, or until just set in centre. Let it cool, then serve with some cream and maple syrup!